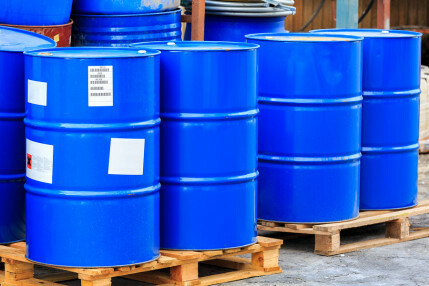 When it comes to running a safety program, most safety managers do not give a lot of thought to the potential dangers associated with storing and handling flammable liquids. Whether these liquids are fuels, alcohols, or degreasers, they have the potential to start fires, explode, or cause serious health effects. Most companies do not realize it, but there are many standards created by OSHA that regulate how flammable liquids are to be handled and stored in the workplace. Managers should get used to the terms D.O.T. approved safety cans, bonding and grounding, and ventilation. If one is to look into the OSHA standards for flammable liquids, they will see these terms throughout the text. OSHA can and will give citations to companies that do not utilize flammable liquids properly. Our recommendation is to get a basic understanding of these regulations first. Start with a comprehensive fire safety policy and training protocol. 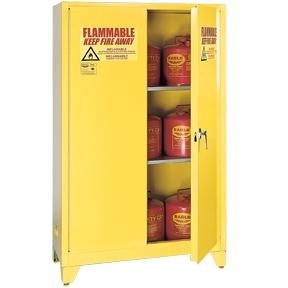 Then put approved safety cans and flammable liquid cabinets into service. Once that is taken care of, start with bonding and grounding applications, and then move into more advanced control processes. Contact a local safety expert to advise you on how to develop you policies and trainings. Conduct a site safety assessment to locate flammable liquid hazards as well as other hazards that exist in your workplace. 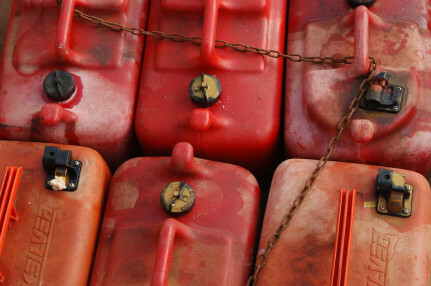 Flammable liquids pose serious threats to your employees and company property. Take control of them now. Below is a link to an excellent article written by Gary Marcus in EHS Today. This article gives a very basic understanding of how to safely handle and store flammable liquids.